For use with Kilner Vintage preserving jars and screw bands, this pack of 12 seals will vacuum seal your preserves. Keep a pack on hand and always be prepared when making chutney, relishes and jams. 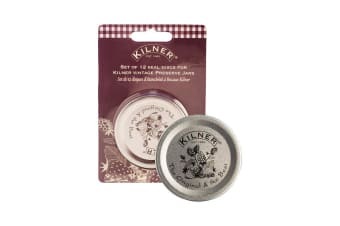 Since the first Kilner jar was invented by John Kilner & Co. in England in the 1840’s, households have trusted their quality range of glassware for preserving, pickling and storing. A statement in style and good taste, today their ranges can be found in many countries around the world.